1st Apr - 31st Oct; Mon, Tues & Fri; 9am - 4pm. Not BHs. May - June - July - Oct. Borders / shrubs / Trees / Autumn colour. The garden was made from a field in 1980 and has been developed ever since and it now includes an arboretum. The garden is designed as a series of rooms each consisting of mixed borders and shrubs surrounded by beech and yew hedges including a Tapestry hedge. 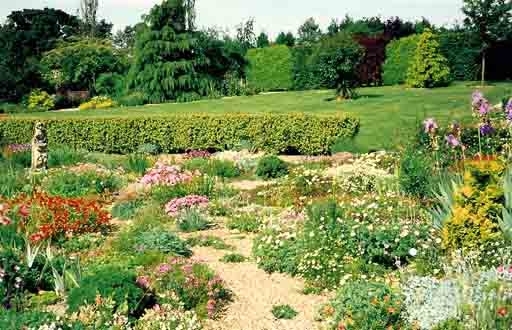 A scree garden in front of the house provides colour throughout the year.